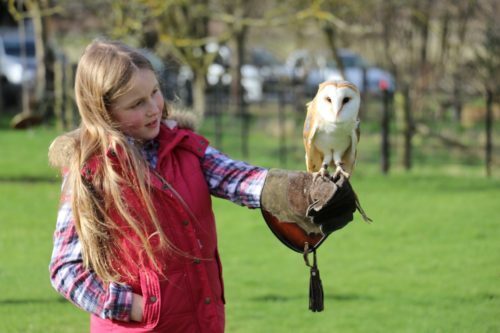 Fancy a one-of-a-kind birthday experience that’ll leave your friends speechless?… Well now you can with a Sky Birds of Prey birthday party. You’ll dive straight in putting the falconer’s glove on and start by heading off on both Owl and Hawk Walks throughout the meadows of the Kent countryside. You and your friends will spend your time as falconers, flying a variety of birds of prey, during this experience. You’ll be able to fly and get up close and personal with these magnificent creatures as they show you how amazing they truly are. Once you’re back at base, you’ll experience the stunning speed and agility of our falcons. *Party Food available as an additional option.